Catherine and I are out in California right now, in the midst of a cross-continental journey we are calling #SpiderTrip2016. This trip has taken us down the east-central part of the country to Austin and further south, where we collected some very colourful black widows for Catherine’s research. 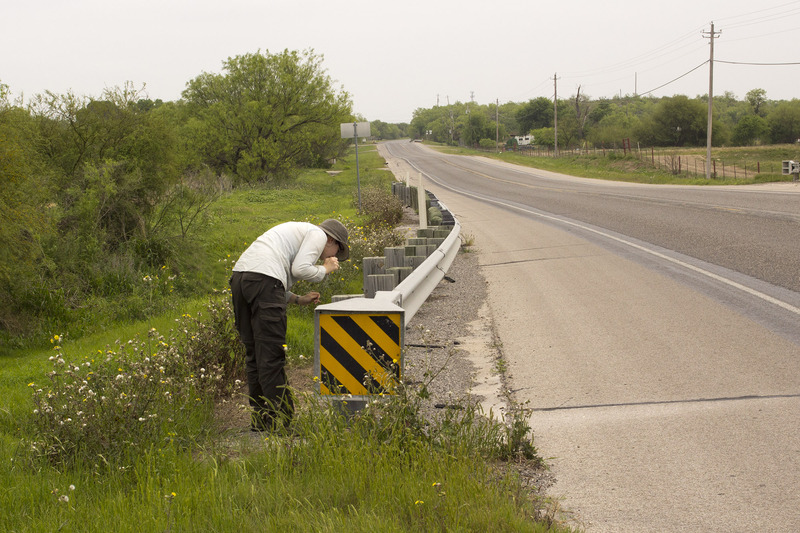 Catherine examines a guard rail in southern Texas, where we found black widows in abundance. Right now we are in L.A., where we have been for several days to attend a wedding in Redondo Beach. As the wedding was Sunday night, on Monday morning we went out to find a park to have a picnic and see what we could see. We ended up on the cliffs of the Palos Verdes Peninsula, a region of L.A. that neither of us have visited. This peninsula has some soaring cliffs and beautiful views of the ocean, as well as a great interpretive centre at Point Vicente focused on natural history. 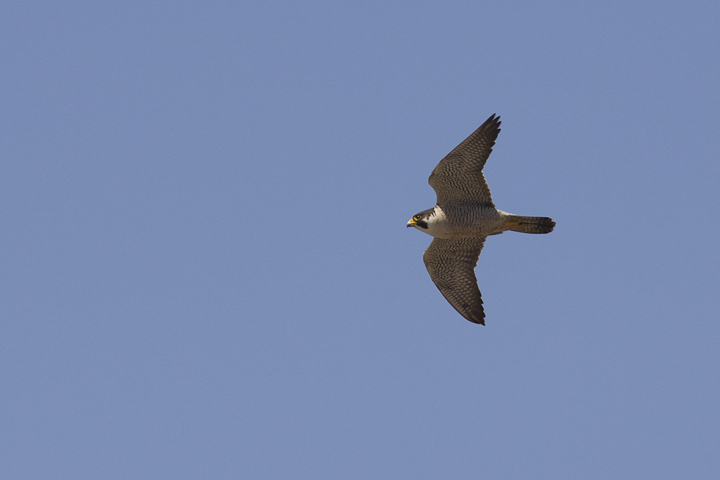 As we were eating lunch, the screams of a rapidly diving Peregrine Falcon alerted us to check out the cliffside. 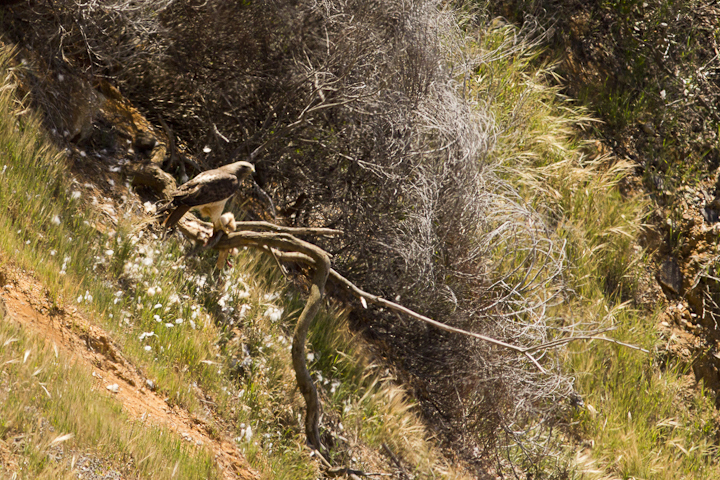 While I tried in vain to get a shot of a diving falcon, we clued in to the fact that the falcon was harassing a pair of Red-tailed Hawks nesting on the cliff ledge below. This was the best I could manage of these amazingly quick falcons…I did see several dives against the flying hawks, which they countered by rolling and presenting their talons to the approaching falcon. This is not just idle harassment on the part of the falcon either, as they are known to kill hawks during these high-speed attacks. 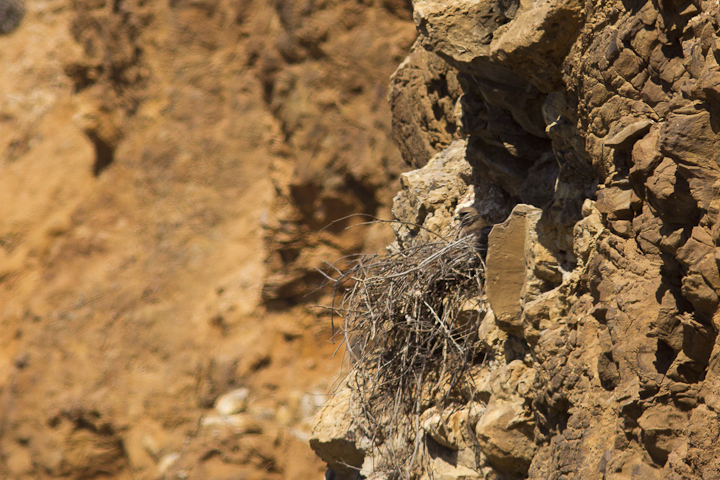 A Red-tailed Hawk, presumably incubating eggs on the cliffside of Point Vicente. 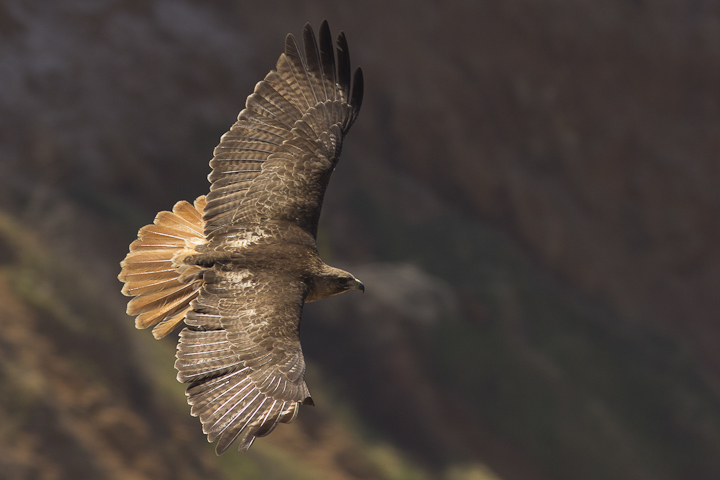 These hawks are well known to the local birders and photographers, and it isn’t hard to see why. 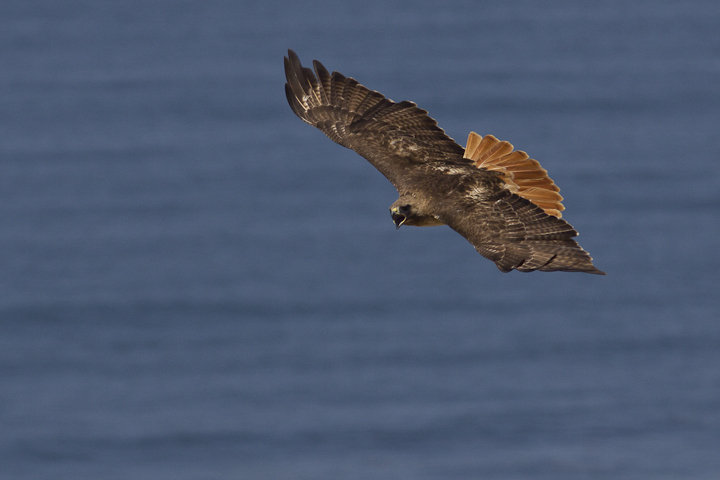 Their activities are well in view from the top of the cliffs, and they come very close to the walking path as they provision their nest and ride the updrafts from the ocean winds striking the cliff face. 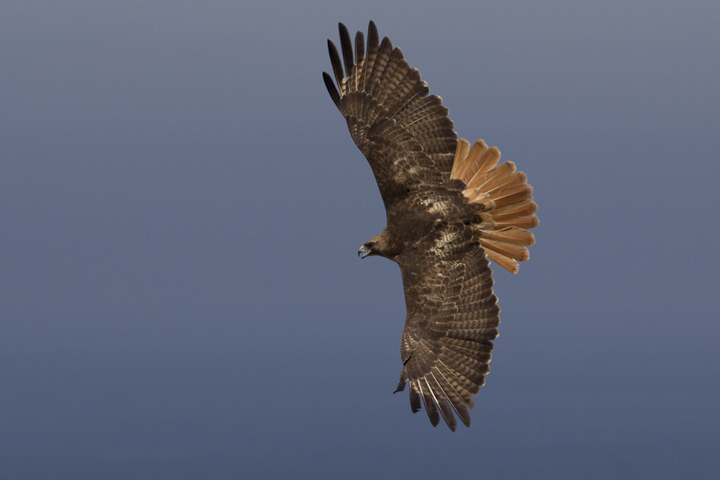 This was the incredible first flyby I managed to shoot of the female Red-tailed Hawk looking right at me as she flew by. Some local birders told me this individual with the broken tail feathers is the male, and it makes sense, as the incubating hawk had an intact tail. 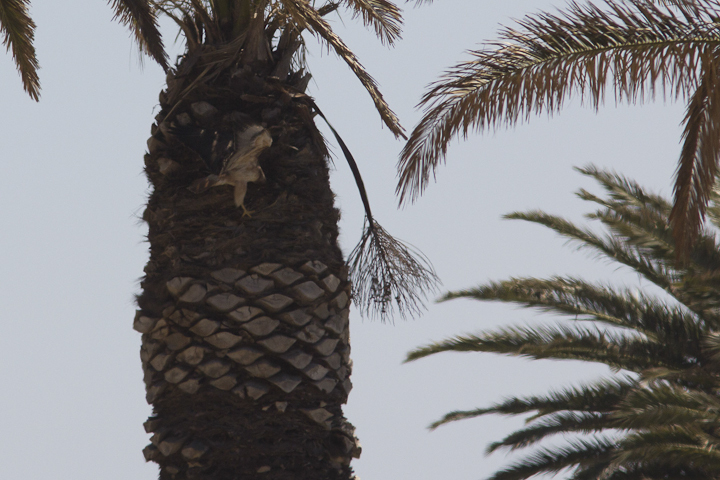 We saw one of the hawks grab some vegetation from the crown of this palm several times. They would also retrieve sticks from a shrubby slope beneath the cliff. 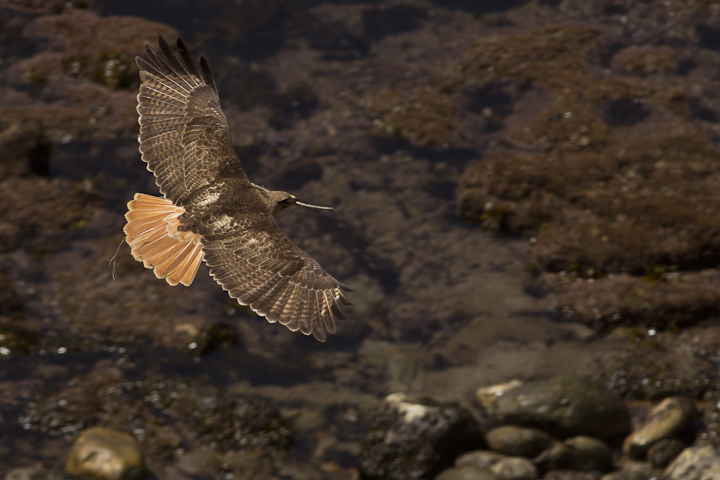 The female heads back to the nest with a stick. I didn’t know it at the time, but I suspect this dramatic dive was the beginning of a successful rabbit hunt on the shrubby slope. I did not see the kill get made, as it occurred below the cliff. One of the pair is engaged in tearing the fur off of the rabbit that they killed. 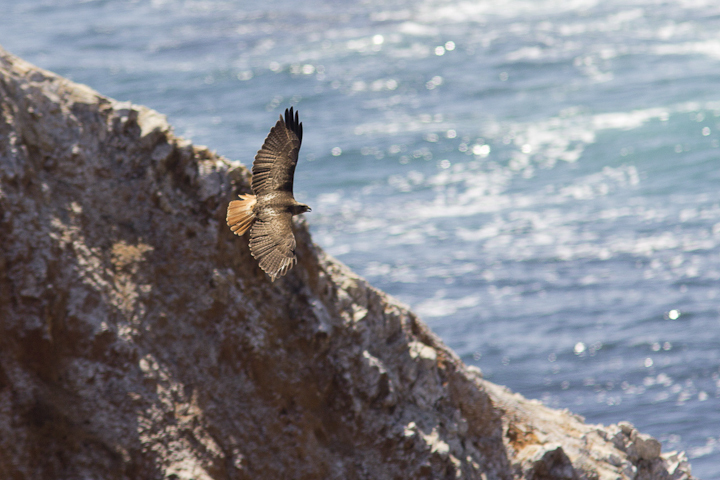 The views of these hawks just cannot be beat, and with falcons, seals, pelicans and more thrown into the mix, you could do a lot worse than to spend some time at Point Vicente! If you are in the L.A. area, I highly recommend it! Absolutely stunning. I always enjoy your photos – these tell such a superb story. Thank you for sharing you joy of the natural world so effectively. Thanks! This was a very cool opportunity! Just wondered what length lens you were using? This was shot with a 300, they were very close! Very nice. 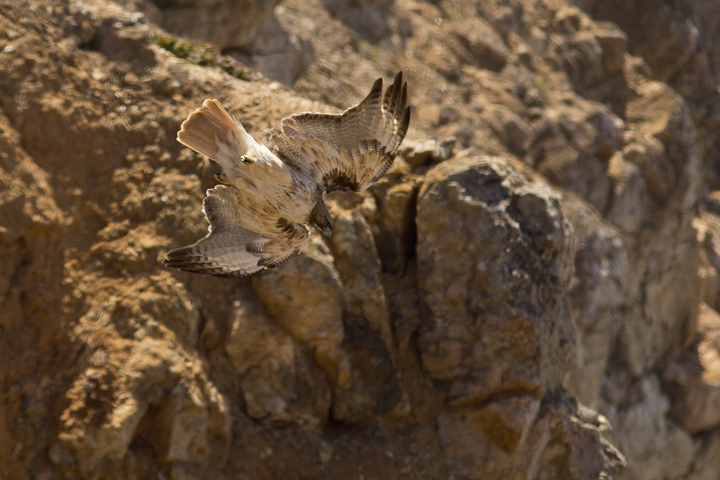 I grew up about 4 miles from Point Vincente, though I haven’t been out during nesting season since I left the area. 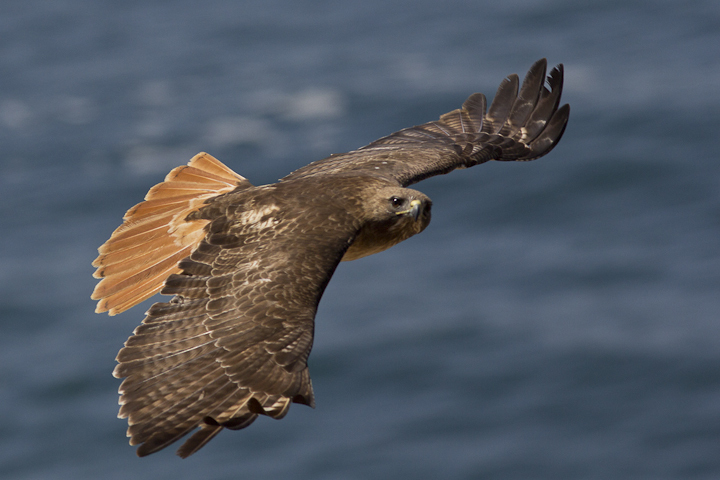 There is lots of good birding in many places on the Peninsula and a few surrounding areas. Waiting to hear more about what spiders you found in SoCal. We did not get a whole lot of spiders in southern California, but we did find some cool ones in Joshua Tree. We tweeted some of them, and after I process more pics we will put some more up.